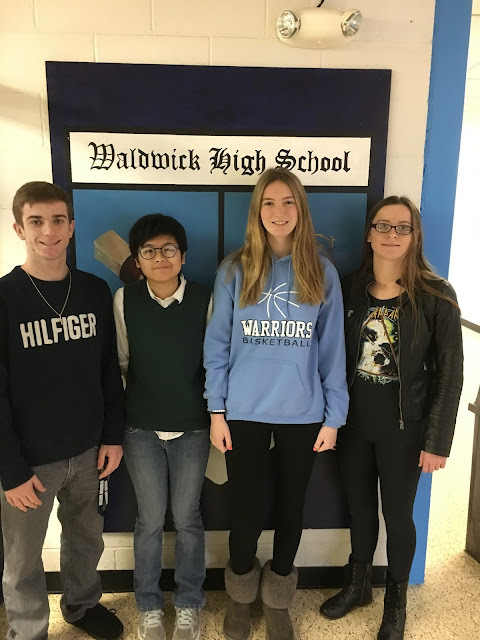 For the eighth consecutive year, Waldwick High School and the Sean Fisher Memorial Foundation have teamed up to promote an educational screening program on healthy lifestyle. The screening program is offered at no cost to the Freshman Class ONLY and this year will take place at Eastwick College in Ramsey, NJ on March 24 or March 31. Students will be bused to Eastwick College, where they have all of the equipment necessary to perform the screenings. Once we have the scheduled finalized, all parents will be notified of the time and date of their child's screening. In order for a freshman to take advantage of this opportunity, two forms must be filled out and returned to the WHS Main Office by March 10, 2017. Screenings will be scheduled by the school and will be by appointment only. ANNA BODDY - Anna, a senior, is enrolled in Entrepreneurship and has really taken a leadership role in class, as well as truly putting a great effort into her Music School Business Plan Project. She did an outstanding job in the second quarter earning a 99 average. Anna’s dedication and work ethic make her a deserving recipient of this honor! 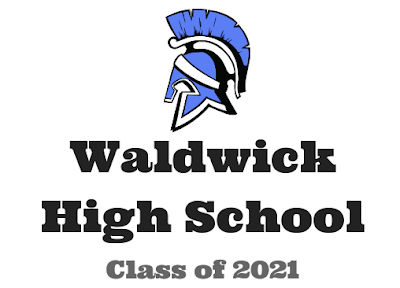 Congratulations to the Waldwick High School Academic Decathlon team for a great performance at their regional competition on January 28. The team placed third in Region 1 and will be one of 16 schools in New Jersey advancing to the state competition. Great job to all of the individual medal winners, especially Zach Zaranski, who won a bronze medal as the third highest scoring student in his academic level for the region overall. Congratulations are also in order for senior, Sabrina Garcia, who had the honor of presenting her decathlon speech at the Regional Awards Dinner. It's a ADNJ tradition for the decathlete with the highest scoring prepared speech in the region to present his/her speech at the dinner. On Wednesday, February 1, the high school guidance counselors, Mrs. Gastman and Mrs. Fortini met with the eighth grade students regarding their schedule for next year. Students were given a course request sheet that needs to be filled out and returned on Monday, February 6, to the Guidance Office. All 9th graders are required to take our Blueprint course, which runs the first semester of the year, followed by a student selected elective. Students should use the link below to make their elective selection. Any student interested in being part of the Honors Program needs to indicate that on the Google form.